I have a new website AND a new book called coming out on 16th July. 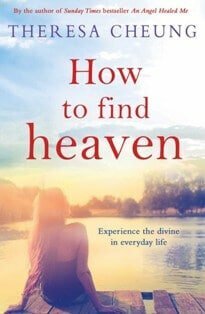 The book is called How to Find Heaven: Your Guide to the Afterlife and you can find out more about the book by clicking here. Hope you like the new website. I hope it’s easier for you to find your way around, I’ve added a page for other mind, body and spirit books which my good friend Kim The Bookworm will be reviewing for me and there’s also some recommendations to other lovely people that I know you are going to love as much as I do. I’d love your feedback though, so do leave a comment telling me what you love most about the new site.